Small businesses undoubtedly have a difficult time in their initial years. The fact of the matter is that a majority of small businesses do not make it past the five-year mark. This can be a stressful time for employers and employees alike, as nobody can be sure whether their livelihoods are secure. As such, business owners want to be sure that they take advantage of every possible dynamic designed to maximize the chances of success. Search engine optimization is one key element that can help to improve the chances of online and brick-and-mortar businesses surviving the short-term. Today, we’ll review how SEO is perfect for keeping small businesses alive long enough to become successful endeavours. The first part of successful search engine optimization revolves around producing content on a regular basis. 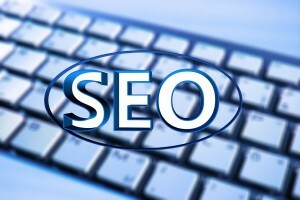 SEO can only be a productive concept if there is a constant supply of material that is infused with it. Content marketing by default is practically fused with SEO in the modern search engine industry. Each piece of content you create is the equivalent of a lead, giving you a chance to be spotted and clicked on via search results. Another way to think about it: the greater the number of relevant and quality words on your website, the greater the chances are that search engines will find relevant and quality material to feature prominently in search. It is worth noting that there is no direct correlation between SEO and social media. However, the indirect associations and benefits are substantial. Recent studies have shown that social media marketing can actually impact how search engines view your authority on a particular subject. It can also obviously affect your content marketing capabilities and reach, so even without SEO benefits, it is essential to utilize. At the end of the day, social media helps you generate a greater number of possibilities for links and mentions on other sites – which are pinging servers on search engines – that do affect search engine results in direct and meaningful ways. The structure on your pages and on-site SEO elements make a huge difference in how you perform with regards to SEO in search. The reality is that on-site SEO, internal links and other seemingly minuscule elements are the foundation of how your website will rank in search engines and be viewed by them. By inspecting your URL structure, evaluating site maps, double-checking keywords and combing over meta data, descriptions and other fine details, you can be sure that everything promotes your broader SEO efforts in a uniform way. Since your website’s goals and plans may have changed over time, it is definitely worth the effort to evaluate internal SEO semi-frequently to ensure you’re pinging servers with a consistent message. While these three concepts factor heavily into how search engines view websites, they are by no means a comprehensive list. How have on-site elements, content marketing and social media impacted your overall SEO efforts? What other elements do you rank highly in your consideration of important variables?